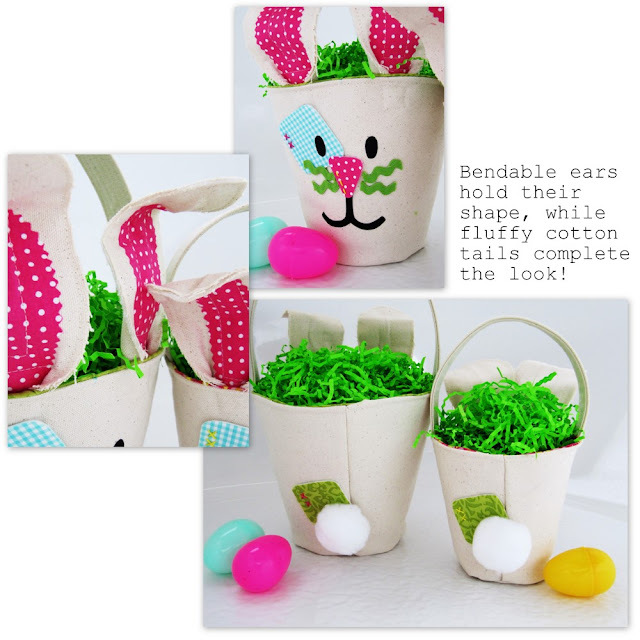 With ears that can be bent and shaped, rick-rack “whiskers” and fluffy little tails, these buckets, our latest Let’s Make Something Together project, are sure to be a hit with even the Easter bunny himself! With Valentine’s Day a thing of the past, my crafting focus is always redirected to all things spring, and to me, there is nothing more springlike than Easter. I have put together an entire step-by-step tutorial for creating these darling canvas Easter buckets, and as an added bonus, the pattern pieces come in two different sizes: a set for a larger bucket, which is perfect for stashing eggs during a hunt, or for a smaller bucket, which is just right for holding smaller goodies. Both sizes require such a minimal amount of fabric, it is very likely you can create them from just the fabric you have on hand! Wanting to hop to and make some of your own? Let’s get started! Note: All seam allowances are 1/4″, unless otherwise specified. 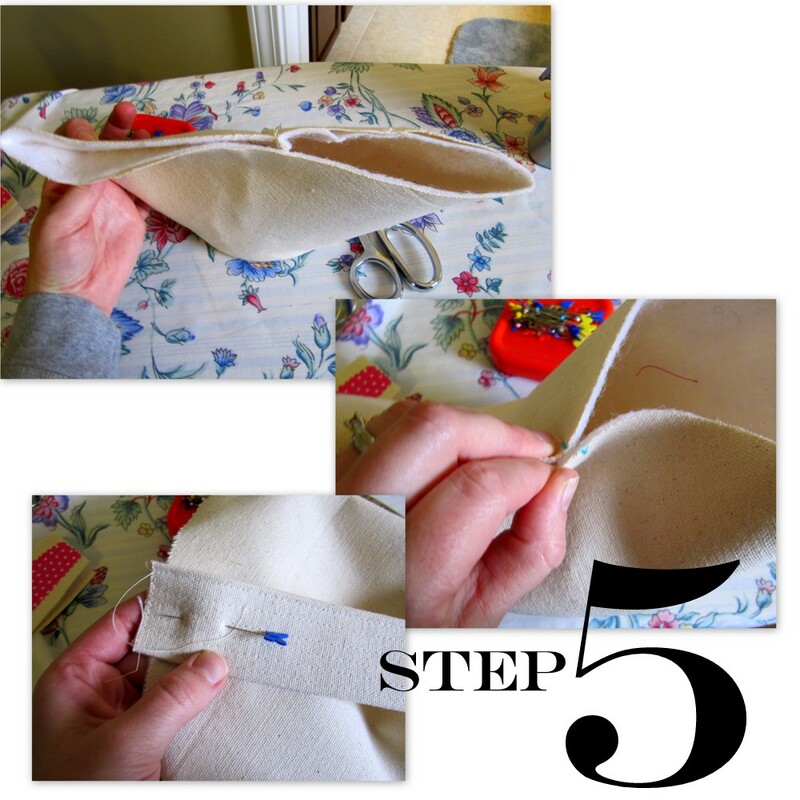 step 1 / Fold your strap piece in half lengthwise; press. 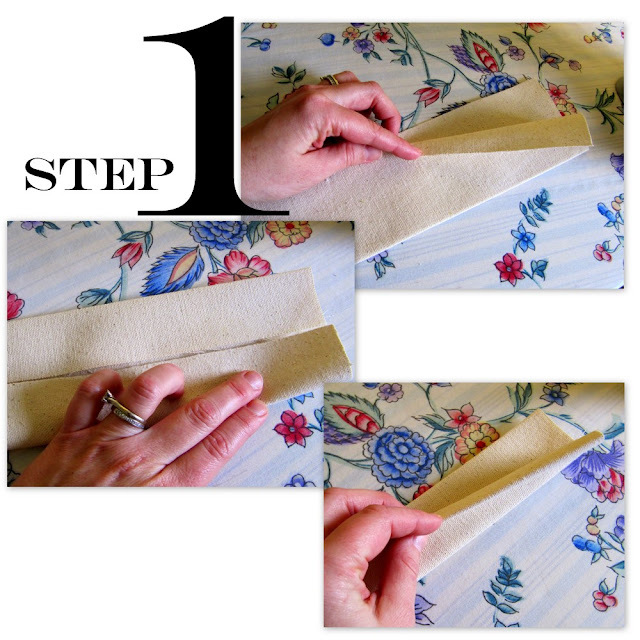 Fold each of the long edges up to your pressed center line so they meet in the middle as shown; press. Fold your piece in half again; press. 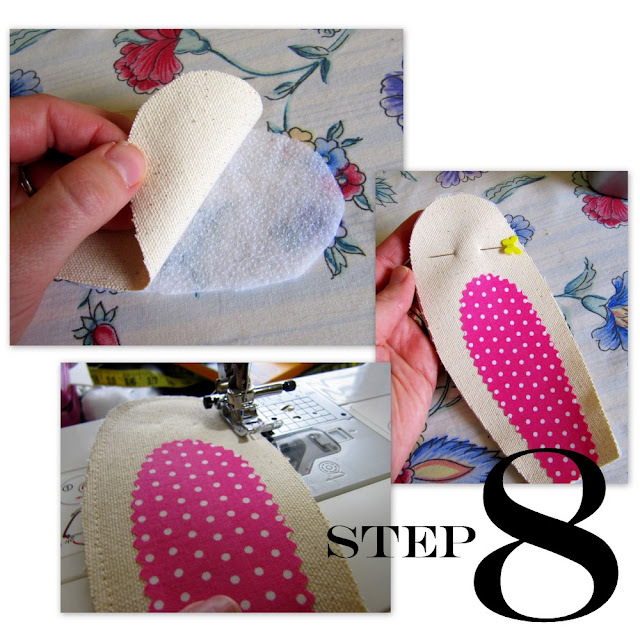 step 2 / Edgestitch along each of the long edges of your pressed strap piece. If desired, stitch a series of lines in the center of your piece for a decorative touch. On your large strap piece, you will stitch 4 additional lines that are each 1/4″ apart. 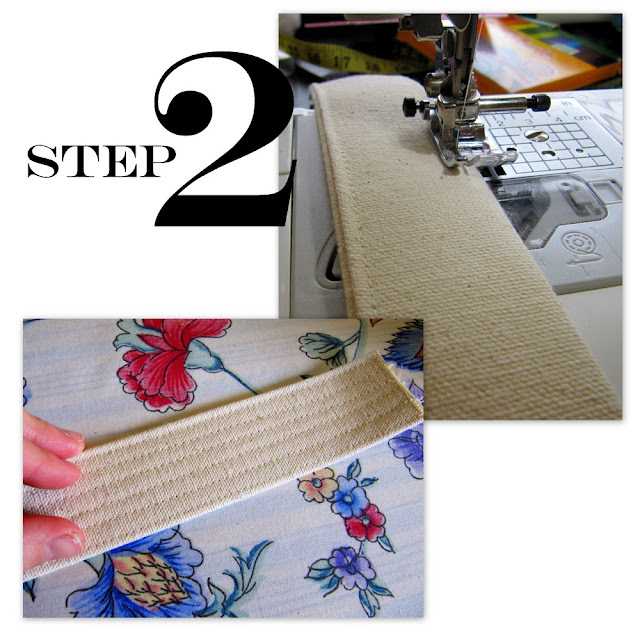 On your small strap piece, you will stitch 2 additional lines that are each 1/4″ apart. Set your finished strap piece aside. 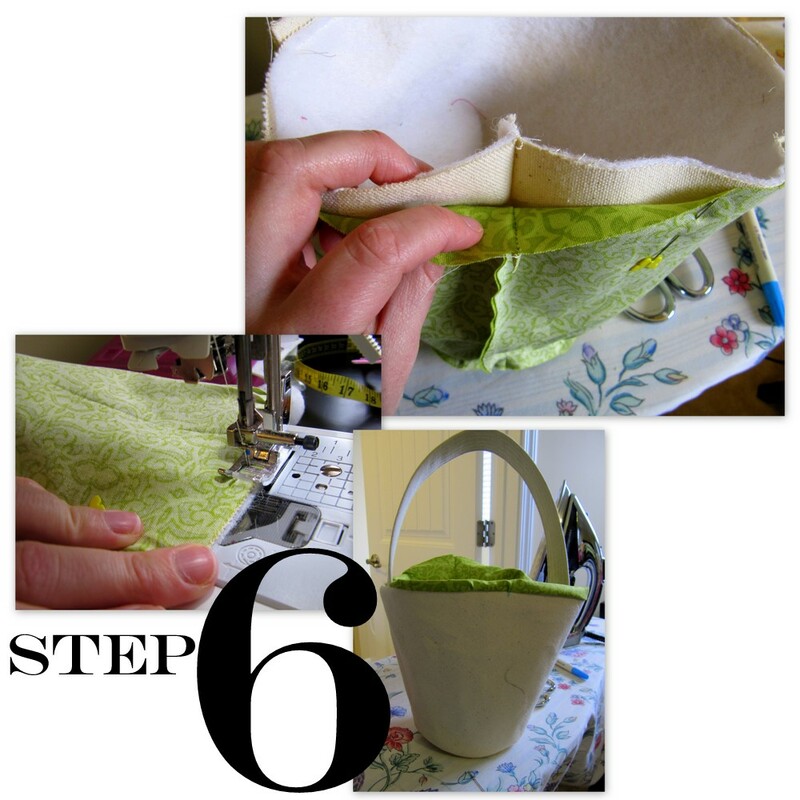 step 3 / Iron the fusible fleece to your main bucket canvas piece and your bucket bottom piece according to the product directions. Fold your assembled piece in half, right sides facing, so that the short edges are aligned. Stitch along this short edge. 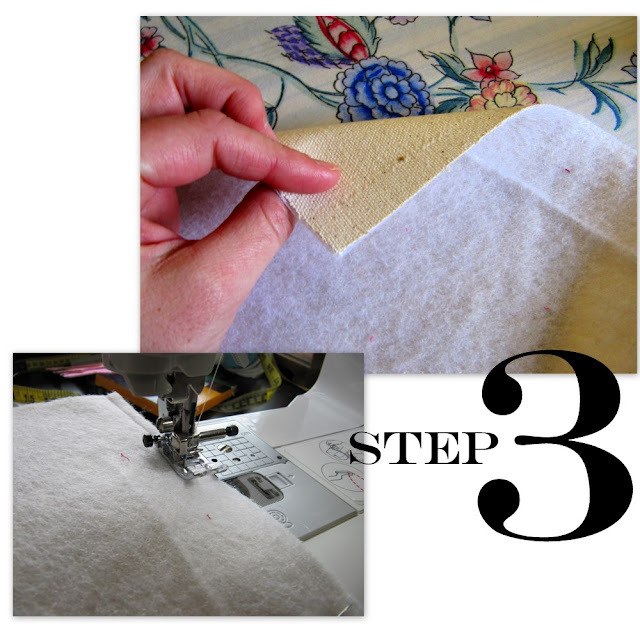 Stitch your lining fabric piece in the same manner. step 4 / Pin your bucket bottom piece to the narrower opening of your stitched main bucket piece, with the fleece side of your bottom and main bucket pieces facing out, as shown. Carefully stitch these pieces together. 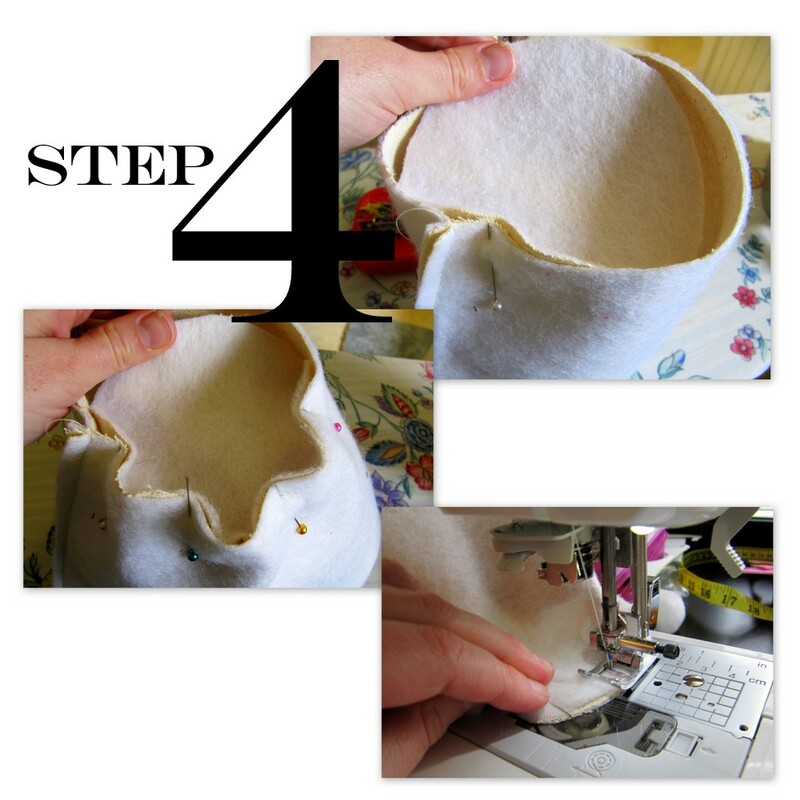 Repeat with your lining bottom piece and your stitched lining main bucket piece. step 6 / With your canvas main bucket piece right-side out and your lining piece wrong-side out, slide your canvas piece inside your lining piece, as shown. Pin these pieces together along their aligned upper edges. Stitch together, leaving a 3-inch opening for turning. Turn your bucket right-side out through this opening. 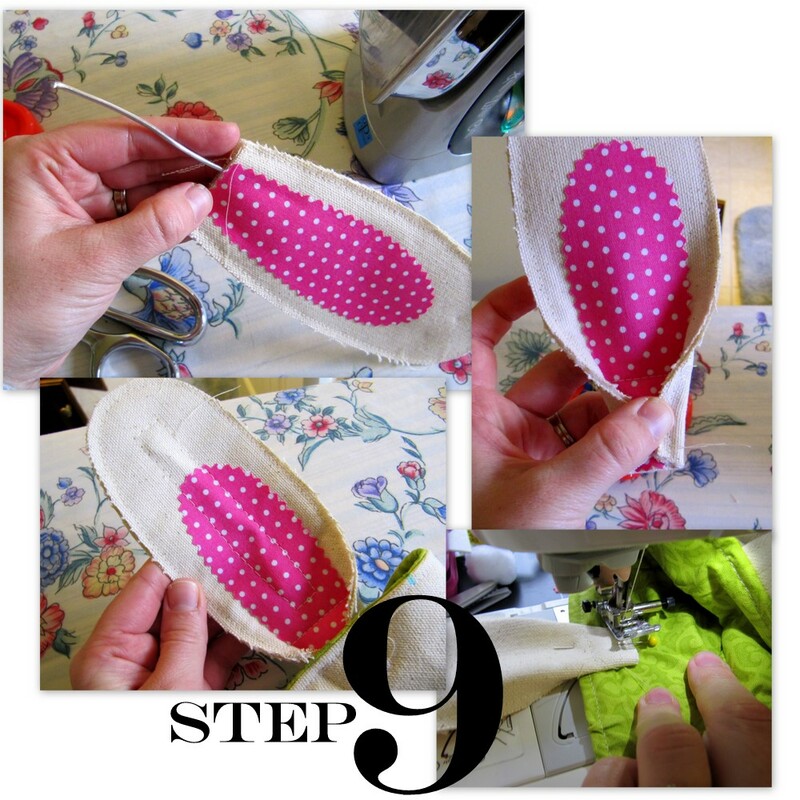 step 7 / Carefully press the joining seam you just stitched, and pin the opening closed. Edgestitch along the upper edge of your bucket, closing the opening as you go. step 8 / Iron your fusible fleece outer ears to the back of two of your canvas outer ear pieces. Fuse your inner ear piece on top of this piece, as shown. Stack this assembled piece on top of another of your plain canvas outer ear pieces, and pin together. Edgestitch along the outer edge of these stacked pieces to attach them to one another, leaving the bottom edge open. step 9 / Tuck a piece of craft wire (3.5″ for the large bucket, 3″ for the small bucket) up through the bottom opening of one of your ear pieces, so the end of the wire piece is about 1 1/4 inches from the bottom of your ear piece. Stitch a rectangle to encase your wire to prevent it from shifting around. Fold the bottom edges of your piece toward the center, as shown, and baste to secure these folds. 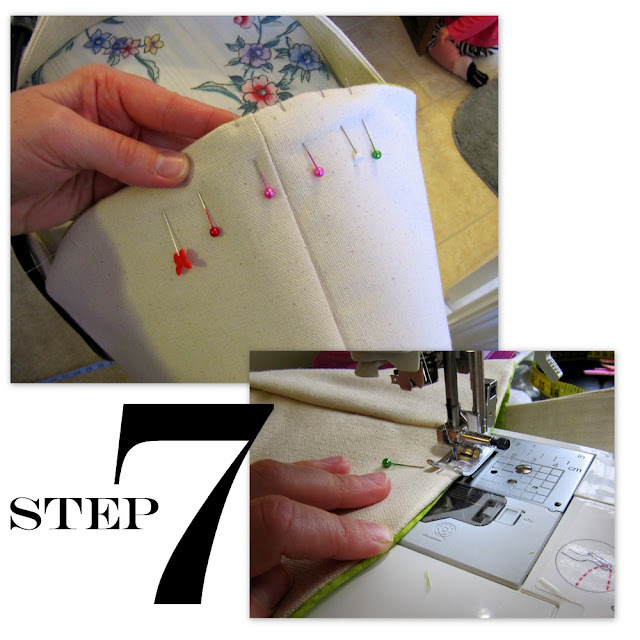 Pin your piece to the inside of the front of your bucket, using the center front mark you made in step 5 as a guide for placement. Stitch a small rectangle shape to attach your ear to your bucket. step 10 / Iron fusible Peltex to the back of your scrap fabric pieces, and cut various patches out to embellish your bucket. (I cut a square for one of my bunny’s eyes, and one for behind the tail, as well as a triangle nose piece.) If desired, embellish these pieces with embroidery floss. Cut two eyes and a mouth shape from your iron-on vinyl. Use hot glue to affix your eye patch and tail patch pieces to your bucket. Iron your vinyl eye and mouth pieces to the front of your bucket. Hot glue your nose piece above your mouth piece. Finish by affixing rick-rack whiskers on either side of your nose piece with hot glue and a pom-pom tail to the back of your bucket. 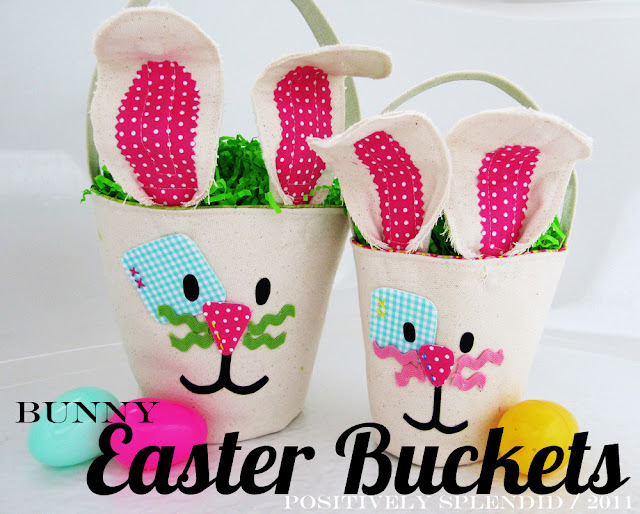 your Easter buckets are great! My daughter wants me to make her one, they seems fairly easy to make thanks to your directions! Thanks. Amy, I love these. You are so very creative. My girls think this is the cutest. Really cute. Would love for you to link them up to Craftastic Monday! LOVE these little guys! Their ears just kill me. Definitely the cutest Easter baskets I’ve seen in a long time. These are just way too adorable! Love these! Great tutorial- love the large pictures & numbers…great format! OMGosh…really?? I have been looking for something for my grandson; and this is Perfect! Thank you so much for sharing, it really is adorable! Adorable! I’ve got to get a stash of canvas, because my list of canvas projects is weighing heavily on my mind. I’m hoping to get to these before Easter!! Truly, truly adorable, Amy!! I’ll be stumbling and facebooking! Too cute! I love this idea! 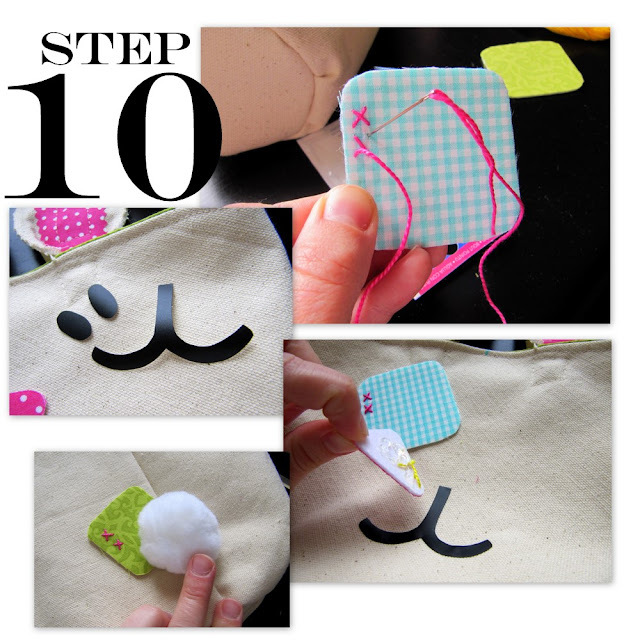 I saw them on SYTYC and fell hard- I might have to make some just for decorations- Great tutorial! LOVE LOVE LOVE THIS!! Thank you so much for giving us a darling tutorial. I can’t wait to make these for easter. Your Bunny Baskets are incredible! I love all of the details! I hope you’ll share them at the Pretty Packages PartY! 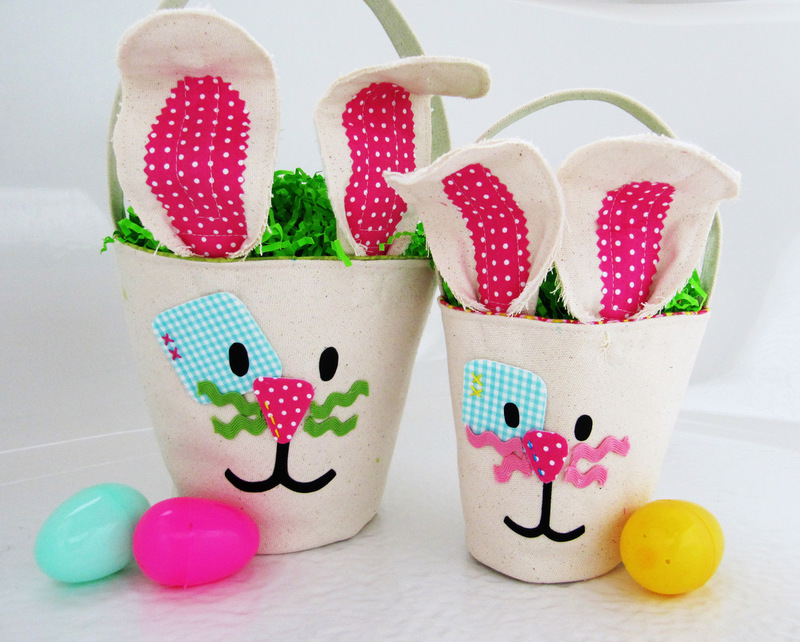 The bunny baskets are so cute! This is completely darling and I’ll be adding it to the Tip Junkie Easter site immediately. So precious!! Visiting from Sumo’s Sweet Stuff and I am a NEW follower! I’m losing my mind – there are the lessuht, most beautiful cucumber vines on the trellis, 8 feet long vines covered in nothing but male flowers. I’ve had five weeks of solely male flowers now, on 7-9 plants. most adorable bunnies I have seen! I am having a giveaway on my blog. A chance to win $15 store credit to buy great hair accessories, pettikirts, hair bow organizers,zipper flower clips, bottlecap necklaces and more. All you have to do is leave a comment . You really do have the cutest ideas!! I am so jealous of your sewing talent! What an impressive easter pail! I am seriously green with envy! FABULOUSNESS!!!!!!! this is crazy adorable! girl, you are rockin the sewing machine. so so cute. sorry it’s taken me for-evah to comment…crazy days over here. sure wish i could of hung out with you all over the weekend. I love this! I’d love for you to link up at Inspire Me Mondays @ Singing Three Little Birds. Congratulations, amazing tutorial, you are so creative!!! I’d love it if you’d link up these “positively splendid” bunnies on my new Tuesday Time Out Link Party! 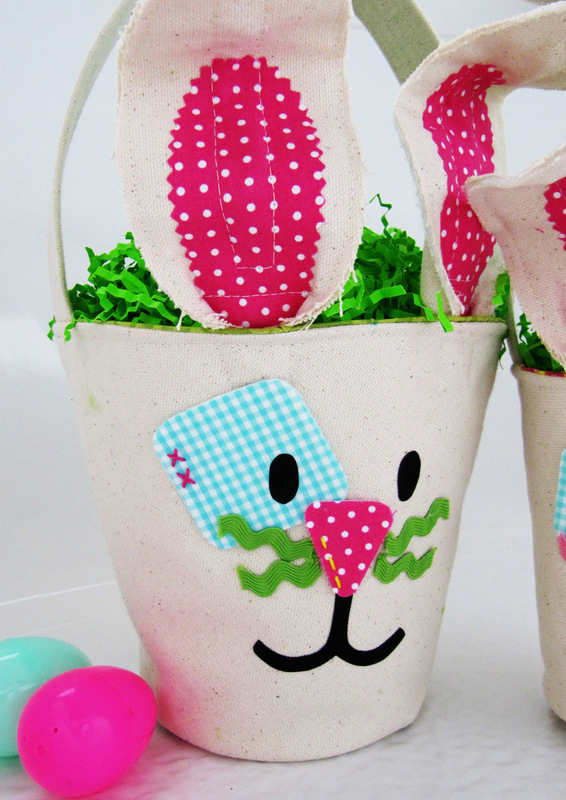 First of all, thanks for sharing this pattern with us, cause i could do MY canvas bunny easter bucket! I saw the tutorial last week, and i was so excited to make it cause i thought it´s so cute! i almost forgot to say: i linked your post on my blog, ok?! This blog is content amazing information about Easter bunny which is very useful for me. It very important information about Easter festival.